As Lorna’s parents looked around the local play area and found needles and syringes lying around, they questioned how child-friendly the surroundings were. It motivated them to enroll their daughter, Lorna in Dancetime – the community based dance class where she could have fun, learn a new skill, make friends and be in a safe environment. Lorna excelled at dance and developed her talent for many years at Dancetime. She has travelled to various countries to represent Scotland and showcase her talent. Lorna is now the assistant dance teacher for Dancetime. Lorna dedicates her time to teaching young girls to channel all their energy into dance. Dancetime is an affordable dance class. It removes the exclusion from those who cannot afford the expensive commercial dance classes in the area. 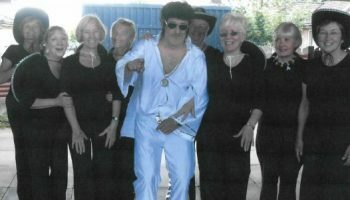 Dancetime organises several dance events including competitions and dance shows and provide all the costumes for these activities – the members never have to ask their parents for extra money to take part. The Women’s Fund for Scotland have supported the Dancetime project. Dancetime provides dance classes for both the children and senior adults of the Summerston area. The adults of the community can join in line dancing or swing dancing – all levels welcome and socialise. The children of the community are given the opportunity to develop dance skills and commit to an enjoyable hobby. At the young dance class the children can learn dance skills and technique and track their progression. It enhances self-esteem and self-confidence. The ongoing participation and the need to prepare for dance events teaches commitment and discipline. 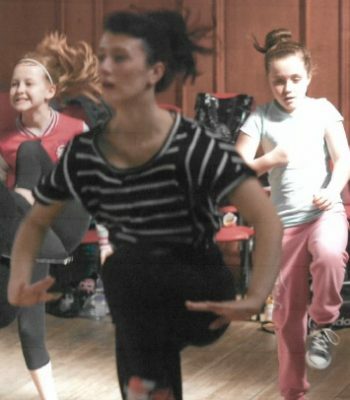 Lorna, the assistant dance teacher explains: “the kids have been doing yearly UDO street dance exams, which requires them to practice a number of routines that are various styles, this helps them stay motivated and progress”. Dancetime is a physical activity providing the children with a fun way to exercise. The class has ran since 2006 and hopes to continue and grow. All children in the community are welcome to attend and are given the opportunity to improve their dance talents, gain dance qualifications and compete in dance competitions and dancing displays. One pupil, who recently left Dancetime started up a dance group at her University. This demonstrates the confidence encouraged in the students and the extensive dance knowledge learnt through the classes. On the other end of the spectrum, senior adult classes are also held. Those who join feel like they have a new lease of life. Often the adults who attend felt isolated from the community before joining, the dance class brings people together to bond and develop friendships while having fun. The senior members have performed at a local care home to entertain the residents. The senior class, which is held at Maryhill Parish Church, have also performed at the Maryhill Activity Directory – with a photo of the event below.